I don’t know about you guys, but one of my new year’s resolutions is to EAT MORE SWEETS! 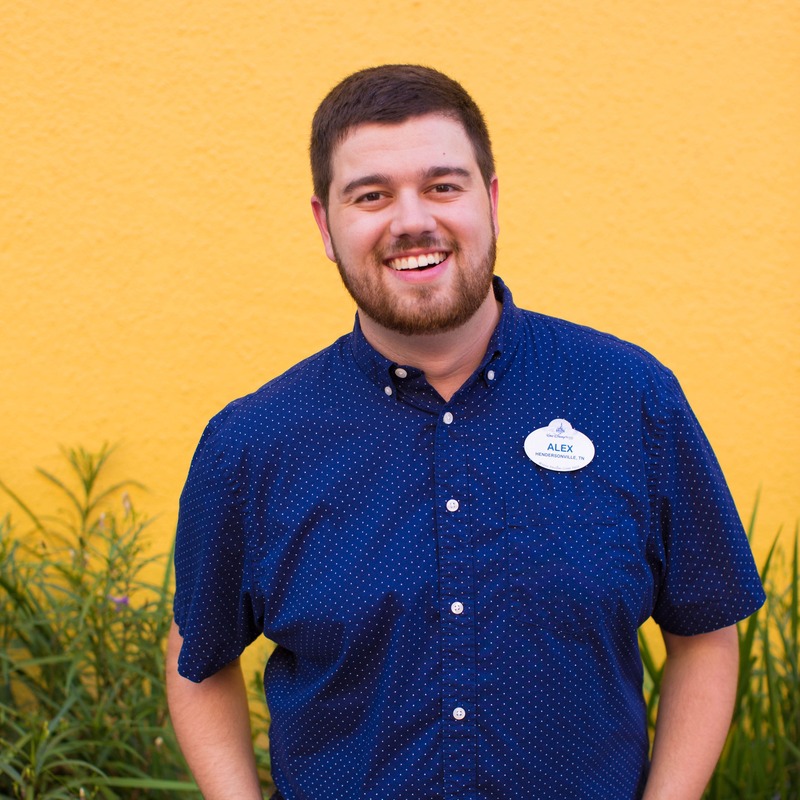 Walt Disney World Resort is starting off the year strong with sweets across property that you just HAVE to try. I’ve got a few new items as well as some yummy existing items that I just wanted to highlight for the new year! Let’s dive right in, shall we? First up is the recently refurbished Kringla Bakeri Og Kafe. Head on over to the Norway pavilion in World Showcase at Epcot to visit this authentic Norwegian bakery serving up the popular School Bread, specialty pretzels, and more! The Troll Horns have also returned, featuring a crispy sugar-coated pastry shell filled with cloudberry jam and whipped cream – YUM! Right next door at Disney’s Beach Club Resort, Beaches and Cream Soda Shop recently added a few new fantastical milk shakes to the menu. 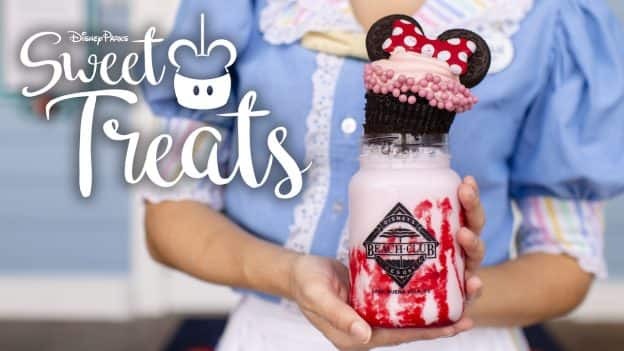 Try the Chocolate Brownie Milk Shake (a chocolate milk shake topped with an ooey-gooey brownie, whipped cream, and chocolate shavings), the Mickey Confetti Milk Shake (a vanilla milk shake topped with whipped cream, rainbow sprinkles, and a rainbow confetti cupcake), or the Strawberry Minnie Milk Shake (a strawberry milk shake topped with raspberry sauce, whipped cream, and a chocolate-strawberry Minnie cupcake). In addition, each of these shakes comes in a cute souvenir cup. 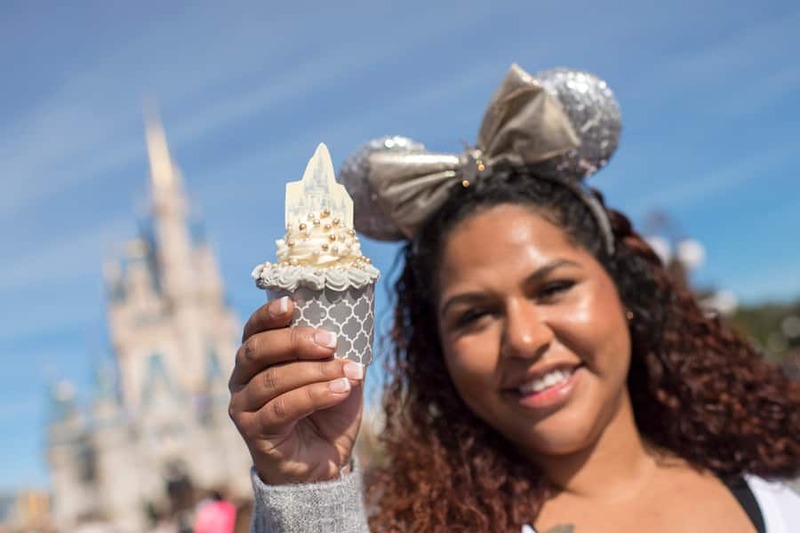 At Magic Kingdom Park, you can now find the Castle Cupcake inspired by the elegance and beauty of Cinderella Castle. This orange-scented cupcake is filled with gold and silver crispy pearls and topped with Champagne buttercream and a chocolate castle piece. Pair it with a Cinderella Castle-themed headband and you’ll be humming “So This is Love” all day long! Find it at Main Street Bakery. Next up, Edible Cookie Dough has arrived at Disney Springs! Stop by Aristocrêpes to try one of three flavors: Chocolate Chip, Vegan Brownie Batter, and a seasonal flavor that will change throughout the year. You can order these individually, or you can try all three in a cute little flight with samples of each flavor. You can also find Maple Bacon Edible Cookie Dough it at B.B. Wolf’s Sausage Co.! 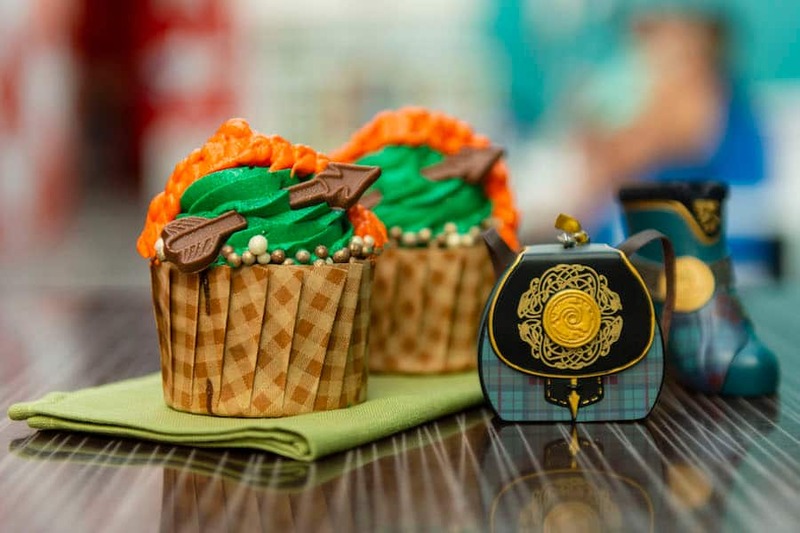 Finally, channel your inner archer with the Merida Cupcake at Disney’s All-Star Music Resort! This chocolate cupcake is filled with gold crispy pearls and topped with vanilla buttercream and a chocolate arrow. You can find it at Intermission Food Court. 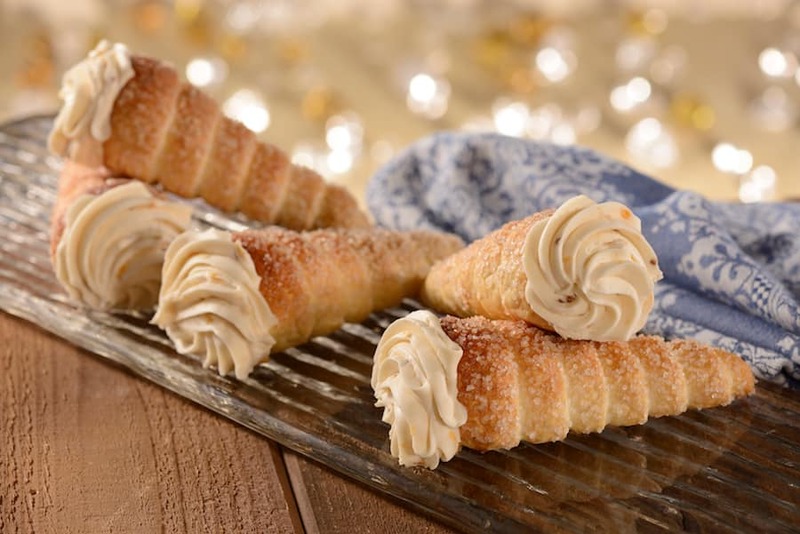 Are you ready to start off the year in a sweet way? Then come on out and try these treats for yourself! 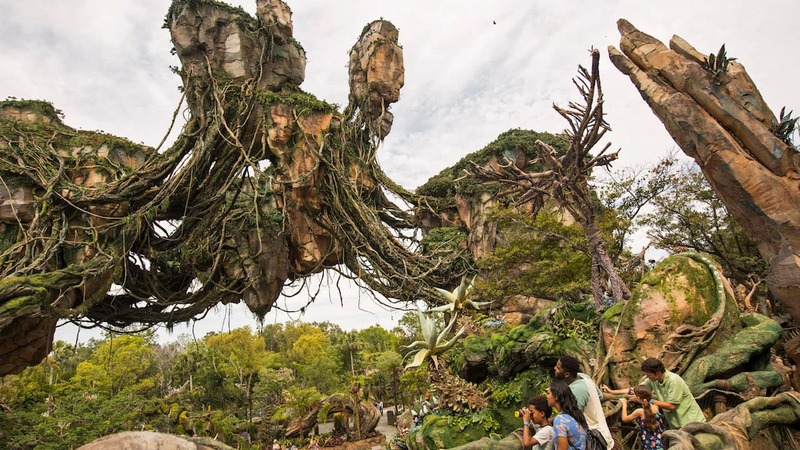 For more information and full menus for each of these locations, visit the Walt Disney World Resort website. Yum! I will take one of each, thank you!! I wish you had more gluten-friendly options too! Although they probably can make that brownie milkshake gluten-free. I too loved the Pecos Bill Yule log – it was such a treat! I wish you had more gluten friendly options. I loved the ones at the Halloween and Christmas parties!!!!!! Especially the Yule log at Pecos Bill’s!